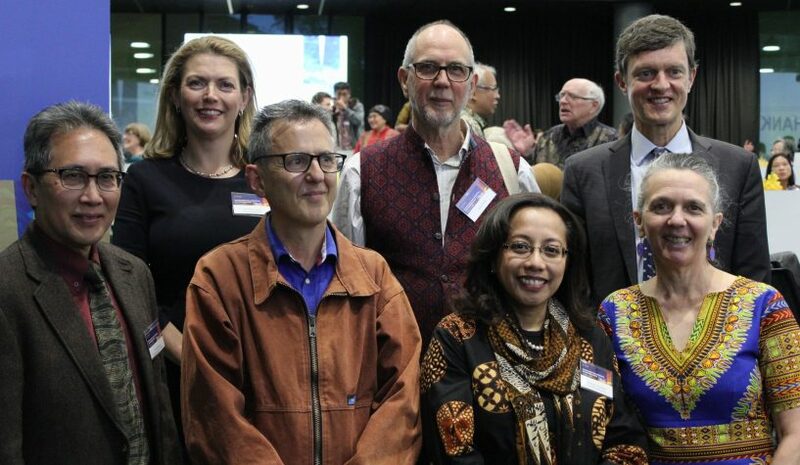 Monash Arts has celebrated a new chapter in the University’s engagement with Indonesia, officially launching of the Monash Herb Feith Indonesian Engagement Centre on Thursday night. The Centre aspires to broaden the relationship between Australia and Indonesia, by boosting the pathways that connect the two countries, with the university committed to raising a generation of Australian graduates with an understanding and appreciation of Indonesia. To deepen this understanding, a range of monthly seminars, public lectures and conferences, professional development and outreach programs will be offered to students and non-students alike. The Centre aims to work closely with people from the university, government, NGOs, industry and community groups. 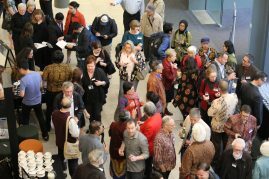 Herb Feith, who arrived in Australia as a refugee in 1939 and was at Monash from 1968 until 1990, is renowned at the university for both his scholarly and Indonesian activism work. 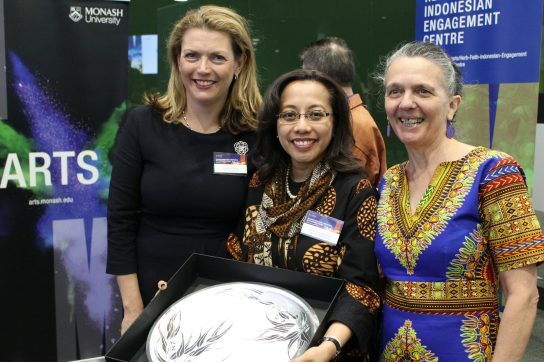 Monash Herb Feith Indonesian Engagement Centre Director, Professor Ariel Heryanto, said Herb is one of the greatest Australians known to Indonesia. “A lot of Indonesians saw him like a saint,” Ariel said. The Centre continues Herb’s legacy, with a concentration on conflict resolution and human rights. 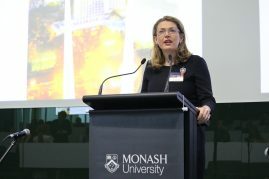 The launch featured a number of prominent Monash University speakers including Dean of Arts Sharon Pickering and Monash University Provost Marc Parlange. Ibu Spica Tutuhatunewa, Indonesia Consul General, gave an insightful address about the impact of international engagement and Herb Feith’s daughter, Annie Feith, detailed what it was like to grow up in an activist home. Those at the launch were also treated to a moving performance by Herb’s granddaughters, Nina and Bessie, who presented their own original music. Monash University is home to around 1200 Indonesian students, the largest number of any Australian university. Professor Heryanto said the Centre will continue to uphold Monash as the spearhead for Indonesian engagement in Australia.